This tutorial is about setting up Counter Strike 1.6 Server on CentOS which is a flavor of Linux Operating System. Most people stay away from Linux because it is much more complicated as compared to Windows. I myself prefer Linux Operating System because of its security and stability and that’s the reason I am writing this tutorial today. You can setup Counter-Strike 1.6 Server on your home computer or on a VPS (Virtual Private Server). If Linux is not your primary OS, you can install Linux on a VM (Virtual Machine). Simply download and install VirtualBox and CentOS ISO files and your VM will be ready. However in this tutorial I assume you already have CentOS Server ready with root privileges. You can skip the next steps of requirements if you want to setup on VPS. For Online Server, an Internet Connection is required. This tutorial is for home computers running on DSL Connection or WiMAX connection. For 16 slots server, a 1Mb internet connection is sufficient. For best performance, a 4Mb internet connection is preferred which can support upto 32 players. The Public IP address of DSL connections is Dynamic. Which means on every restart of router the Public IP is changed. To make the IP static you have to request your DSL provider to provide you a Static IP address. PTCL users can get Static IP easily for a monthly charge of 200 300 rupees. Call 1218 from your PTCL number to get a Static IP on your DSL connection. To make your server 24/7 your computer must stay on all the times. For that you will need a UPS that will provide backup in case of power outages. 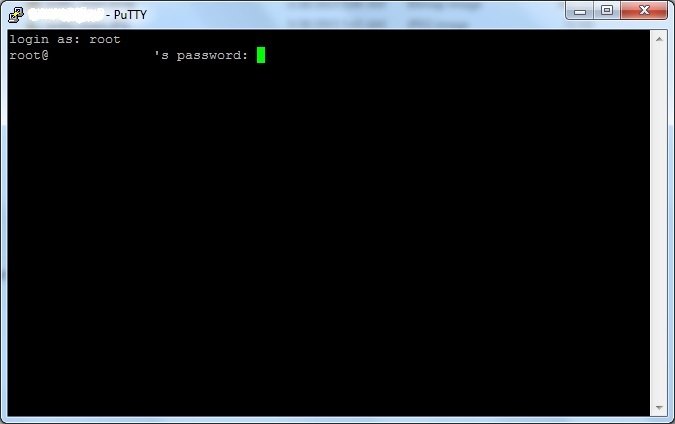 If you are using Windows, you will need an SSH Client like PuTTY that lets you connect with your VPS. Enter your VPS IP address in Host Name field and press enter. A black console window will open asking for the username. Enter your username (which should be root) and press enter. Enter your password and press enter. Note that your password will not be shown as you type it so don’t get confused. After you have executed all the commands without getting any errors, the Counter Strike 1.6 Server should be started successfully in background. Counter Strike 1.6 Server does not automatically starts when your VPS is restarted. Now the Counter Strike 1.6 server will automatically startup after crash or reboot. This step is just to make sure that you have properly configured the server. Open your game and click on Add Server. Enter your Private IP with Port and click Add. If you can see your server running, you can proceed to the next step. This step is not required if you are using VPS. Now you have to open your Windows Firewall so that other people can connect to your server. You need to open UDP port 27015 on your windows firewall. At this stage, you have created a LAN server which means people connected to your Router can now join your server. This step is not required if you are setting up on VPS. Now you have to “Forward the ports from your Router to your Computer” so that Online Players can connect to your server. In simple words, all the people connecting to your Router on port 27015 will be forwarded to the port 27015 of your Computer. There are hundreds of thousands of router models with different port forwading methods each. For other routers, just google about it and you will find the steps. This step is to make sure the firewall and ports are properly opened. Now you have created an Online Server which means people from all around the world can join your server. Having problems? Just comment below and we will find you a solution! You will need a Static IP. Call your ISP and ask them to provide you a Static IP. If you are using PTCL, call 1236 and ask them to assign you a Static IP. PTCL charges 400 Rupees monthly for Static IP. koi tariqa nahi hain k khood kare ip ko static? bro yeh dekho kya karun ?? Sorry there was a mistake in the above commands. Now it should be working fine. I have updated the post with the fixed commands. How to configure the server after setting it up ?? You can use WinSCP to edit configuration files or you can use “vi” command from PuTTY! Hi I have just followed your guide everything was smooth but I cannot connect to the server. I have my dedicated VPS in europe and I cannot connect to server Please help! the banners that appear in game sohaibnova.blogspot.com I want to edit them Please help!! In case you still are unable to remove those banners, edit your cstrike/server.cfg and cstrike/addons/amxmodx/configs/amxx.cfg files to remove the banner related commands. Let me know if you still have issues with it. Salam Taimoor bhai I want to add counter strike source as well as condition zero in my server is it possible if yes my messages awaits your guidance. No brother that is not possible. There are separate server setups for each flavor of Counter-Strike. You cannot run Counter-Strike 1.6, Counter-Strike Source, Counter-Strike Global Offensive on the same server. However, you can run multiple servers on the same machine with different Counter-Strike flavors on different ports. i got this error its say this. That means zip program is not install on your system. The “head” command doesn’t displays the full output. Let me know if it still doesn’t show up in there!